The Mistake Room is pleased to present the first Los Angeles solo exhibition of influential Brazilian artist Paulo Bruscky. A key participant in the international mail art movement, known in Brazil as arte correio, and known for his extensive Fluxus archive developed through networks with artists, Paulo Bruscky is a singular figure who has developed a radically innovative artistic practice. A life-long resident of Recife, Bruscky came of age during the military dictatorship—producing work that responded to the urgencies of the political situation with a signature sense of humor. Bruscky was among the first to explore new technologies like Xerox machines while creating unique distribution strategies for his work. Coining the term “communication art,” Bruscky utilized unorthodox channels for art-making as a means to subvert and transform the status quo. 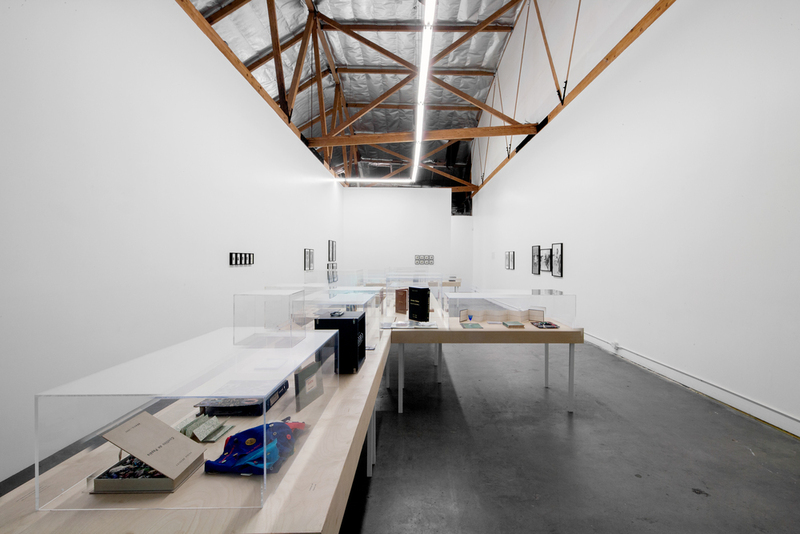 The exhibition at The Mistake Room focuses on the artist’s body of artist books and Super-8 films—a critical backbone of his rich and prolific practice. 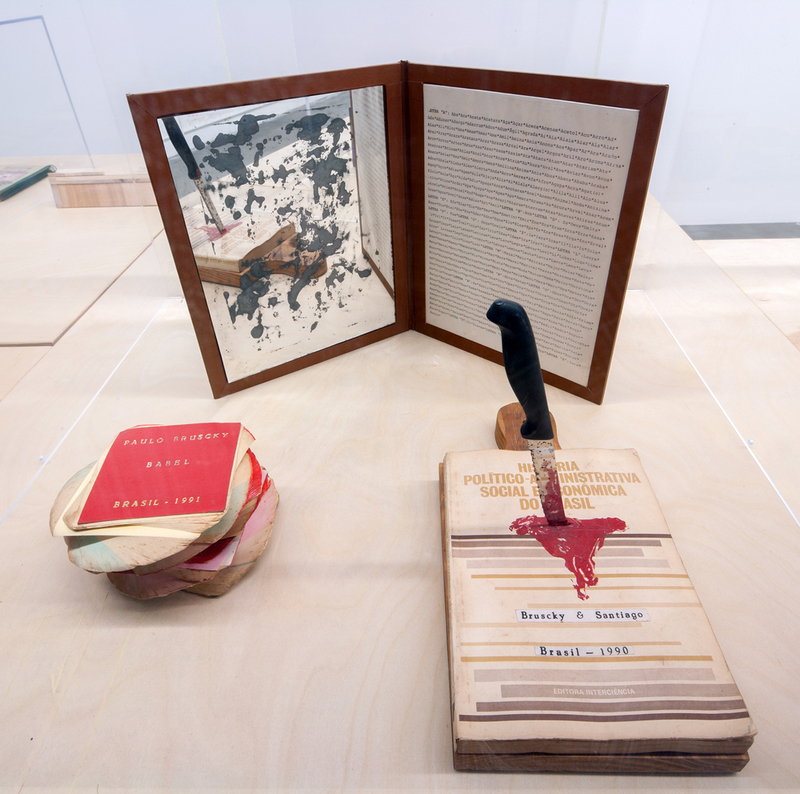 More than mere records of past actions, the works operate as foils for the activation of ideas and evidence of the individual passion and will to connect critically, poetically and artistically to the contemporary moment. Paulo Bruscky: Artist Books and Films, 1970-2013 is organized by The Mistake Room and guest-curated by Clara M. Kim. Paulo Bruscky was born in Recife, Brazil in 1949, where he continues to reside. He has exhibited widely around the world, with major exhibitions at the Museu de Arte Moderna de São Paulo; Art Is Our Last Hope at The Bronx Museum, New York and the Phoenix Museum of Art, Arizona; Instituto Tomie Ohtake, São Paulo; and a retrospective at the Centro Cultural do Correios, Recife, Brazil, among many others. His works have been included in many recent group exhibitions, including 4 editions of the São Paulo Biennal, 30 x Bienal (Fundação Bienal de São Paulo, São Paulo, Brazil, 2013); Reinventando o mundo (Museu Vale, Vila Velha, Brazil, 2013); Mitologias por procuração (Museu de Arte Moderna de São Paulo, São Paulo, Brazil, 2013); In cloud country (Harewood House, Leeds, England, 2013); Perder la forma humana (Museo Nacional Centro de Arte Reina Sofia, Madrid, Spain, 2012); Trienal Poli/Gráfica de San Juan (San Juan, Puerto Rico 2012); and Sistemas, acciones y procesos (Fundación Proa, Buenos Aires, Argentina, 2011). Bruscky is represented in the collections of the Museum of Modern Art, New York; the Guggenheim Museum, New York; Tate Gallery, London; Museu de Arte Contemporânea da Universidade de São Paulo; Stedelijk Museum, Amsterdam; and many others. Support for this exhibition is provided by Fernando Abdalla. Special thanks to Galeria Nara Roesler, Sao Paulo, Brazil.